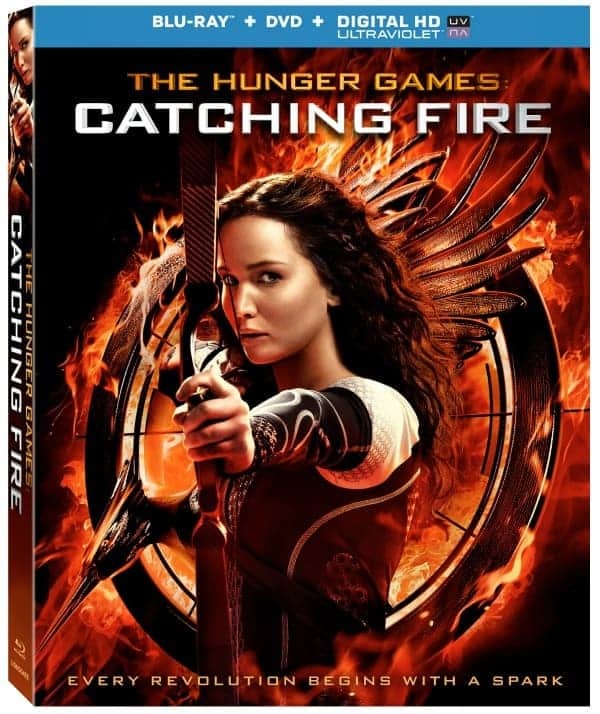 The Hunger Games: Catching Fire on Blu-ray, DVD and Digital HD is in stores today (March 7, 2014)! I haven’t had the chance to see it yet, but I’ll be posting a review as soon as I get a copy of it. I read the books a few years back and watched The Hunger Games in the theatre. 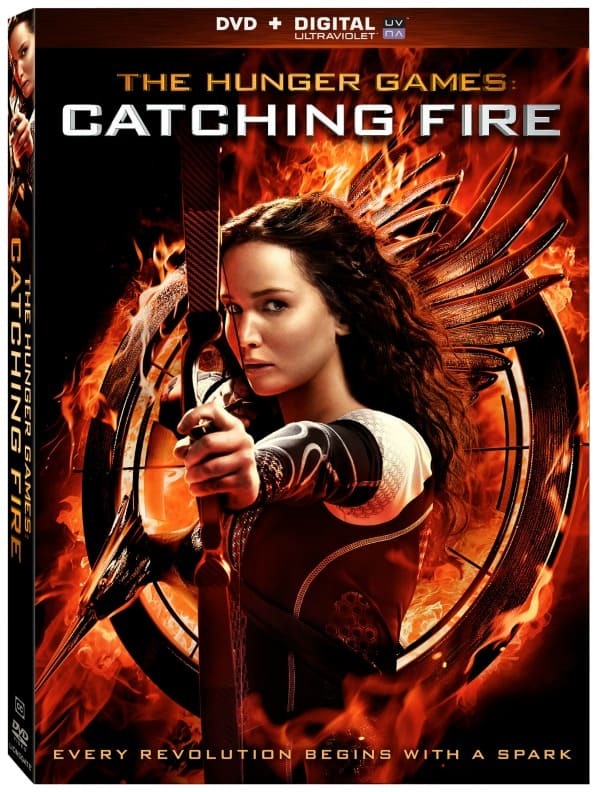 Hailed as “a monumental achievement” (The Playlist), The Hunger Games: Catching Fire features a critically acclaimed cast including Lawrence, Josh Hutcherson (The Kids Are All Right), Liam Hemsworth (The Expendables 2), Academy Award® nominee Woody Harrelson (The People vs Larry Flynt, 1996), Emmy® nominee Elizabeth Banks (TV’s “30 Rock”), Lenny Kravitz (Precious), Academy Award® nominee Stanley Tucci (The Lovely Bones, 2009) and Golden Globe® winner Donald Sutherland (Path to War), reprising their original roles from The Hunger Games. The impressive line-up is joined by Academy Award® winner Philip Seymour Hoffman (Capote, 2005), Jeffrey Wright (Codeblack Films’ The Inevitable Defeat of Mister & Pete), Jena Malone (Into The Wild), Amanda Plummer (Pulp Fiction) and Sam Claflin (Snow White and the Huntsman). 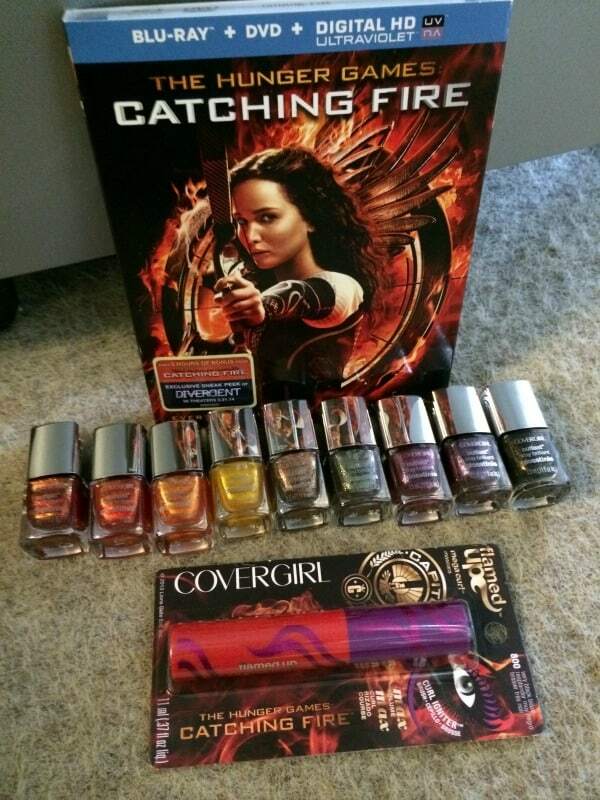 I have an extra special giveaway that The Hunger Games fans are going to love! 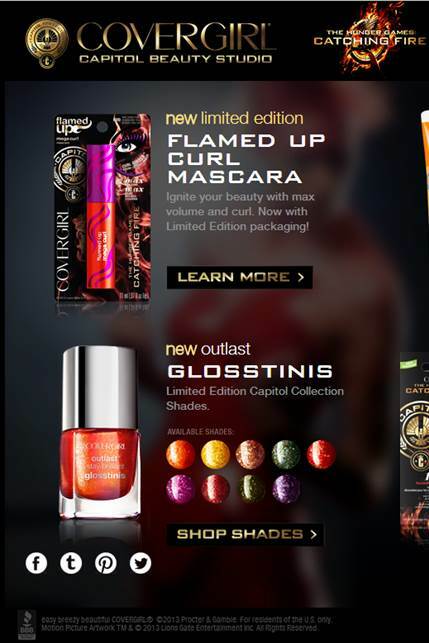 In honour of National Women’s Day (3/8) and the first film with a female lead to top the annual box office, Lionsgate has teamed up with CoverGirl to create the “Capitol Collection” to inspire you to find your “inner Katniss”. They believe “Every Revolution Begins With A Spark”. Thanks for bringing us this awesome giveaway. Aww, you are a wonderful human being. This is awesome…the make up beautiful….would luv to win! I love The Hunger Games so much! It is just so inspirational with romance and fire. I would LOVE to win these great prizes! I have a Hunger Games collection and would love to expand it. The Hunger Games really is my life. I know who said which quote in every book and have read them all! I think Peeta is as perfect as possible! Katniss is beautiful and her personality is just something you dont see much in a teenage girl. She has something so special and she is my inspiration for everything! I have learned to shoot a bow and arrow from the inspiration of her and have learned so many life lessons from just how she acts. The hunger Games is my life and i would be SO thankful if i did win the giveaway. Thanks for giving me the opportunity to. The make up is so beautiful! I would be sooo happy to win this! Thank you SO much for a chance in an Awesome Giveaway! I love the Hunger Games and Cover Girl! oh i love! awesome giveaway. thank you for the opportunity! I am obsessed with the Hunger Games! Thank you for this opportunity! My daughter and I would share this win. I loved the books. Have not been able to see the movies. Would love to win this. I followed both on Facebook, but then I accidentally entered my wife’s FB name instead of mine! My FB name is John-Paul Thomas… hopefully that’s okay! Oops! Beautiful Colors of nail Polish – Would love to use these in the water nails they would look great .Good Luck All. Great giveaway. Those nail colors are awesome!